I am delighted to announce that Magnus Maximus, A Marvelous Measurer, illustrated by S.D. Schindler (FSG) has been selected as a Bank Street Best Book in the 5-9 age group. Many thanks to Debbie Wright of Wrighty Reads for her insightful review of Magnus Maximus a Marvelous Measurer. 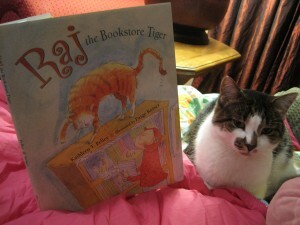 Many, many thanks to Vince and his owner, Pat Zietlow Miller for her charming review of Raj the Bookstore Tiger on her blog.